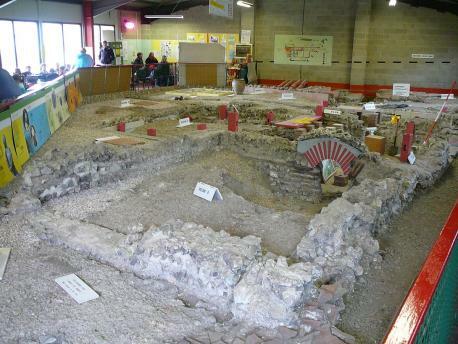 ROYAUME UNI – Orpington - Crofton Roman Villa in Orpington holds secrets to a civilisation which lived here more than 2,000 years ago. Crofton Roman Villa was initially discovered in 1926 when workmen were preparing the site for a car park for nearby offices. But it was not fully excavated for more than 60 years due to lack of funds. Finally, in 1988 Kent Archaeological Rescue Unit (KARU) revealed the fascinating history behind our Roman ancestors in Orpington. They sorted through 800 tonnes of remains which included 10,005 pieces of pottery with many objects now housed in Bromley Museum in Priory Lane. Among the excavated treasures were gems from cygnet rings which would fall off in Roman baths and collect in the drains - apparently dozens were found. The KARU secretary says: "We also found oyster shells which would have come from the Thames. "One of their favourite dishes was dormice. "They would hunt them out, coat them in herbs and honey and roast them for a feast." 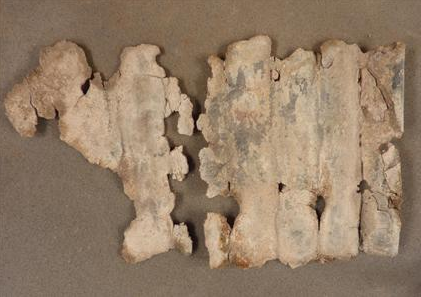 ROYAUME UNI – East Farleigh - The public have their first opportunity in almost 2,000 years to view a Roman curse scroll. The scroll dating from the first century AD was uncovered by the Maidstone Area Archaeological Group’s dig at the site of a Roman farmstead in a field off Lower Road, East Farleigh. Curse scrolls were used by the Romans to cast spells on people accused of theft and other misdeeds. The tablets were rolled up to conceal their inscriptions and then hidden in graves, springs wells and other places considered to be close to the underworld. The Romans were the first inhabitants of England who could read and write, so the names inscribed on the scroll are likely to be the earliest written records of the inhabitants of East Farleigh. The East Farleigh scroll bears in capital letters the Latin names SACRATUS, CONSTITUT[US], CONSTAN[...] and MEMORIA[NUS], the Celtic names [ATR]ECTUS and ATIDENUS, and eight others which are incomplete. AUSTRALIE – Beacon Island - This month marks the 50th anniversary of when the shipwreck ‘Batavia,’ of the Dutch East India Trading Company, was discovered on Morning Reef in the Abrolhos Islands. 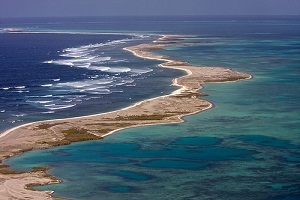 The WA Museum and partners from the University of Western Australia are conducting new research on the Abrolhos Islands, particularly mapping the terrain and trying to discover what was left behind by these early shipwrecked mariners. The focus for study over the past few weeks has been Beacon Island, which is also known as Batavia’s graveyard. It is believed this is where up to 180 survivors of the wreck were murdered and buried by mutineers from the ship. The Batavia site is not the only focus of investigation; researchers are also trying to establish who the first modern settlers on the islands were and when the first structures were built there. Surprisingly for such an important site, there has been little previous concern for the archaeology on the islands and fisherman have been allowed to build shacks directly on top of grave sites without any investigation being made first. PAPOUASIE - Papuan mountain - A prehistoric settlement discovered two years ago on a Papuan mountainside has been found by an archeological team to date back as far as 2,590 years. The in-depth study, conducted by the Jayapura Archaeology Center in partnership with the National Atomic Energy Agency, used a dating analysis technique at the hillside to determine the age of the March 2011 Yomokho Mountain discovery. Hari Suroto, a researcher at JAC and the lead researcher on the 2011 dig, said archaeologists used what is known as a C-14 radiocarbon dating technique. The team took fireplace charcoal samples from the Yomokho Mountain dig site in Jayapura’s East Sentani district, using them to find the raw radiocarbon age from which a calendar date was calculated. “Human activities at the Yomokho Site has existed since 2,590 years ago,” Hari said. “The C-14 radiocarbon analysis is a dating method used to discover the absolute age of a relic by calculating the remaining C-14 on organic objects.” At the Yomokho Mountain site, archaeologists in 2011 dug to a depth of 80 centimeters, discovering former fireplace charcoal, pottery, human bones, animal bones, shells of marine molluscs, stone tools and beads — all providing crucial insights into what prehistoric life at the Papuan village must have been like. Trade would have been taking place with seaside colonies, as indicated by the mollusc shells, while the beads seemed to have been used in burial rituals, Hari said. The formation of stones found indicated the village had been settled and houses built. The Yomokho settlers would likely have lived off the environment surrounding the nearby Lake Sentani. The C-14 technique of carbon dating used by JAC in the dig was presented to the world by Willard Libby in 1949, for which he was later awarded the Nobel Prize in Chemistry. The method can date objects as far back as 62,000 years. FRANCE – Obernai - En marge de l'aménagement du Parc d'activités économiques intercommunal, une importante opération de fouilles archéologiques a eu lieu sur une surface de sept hectares à Obernai. Résultat d'un peu plus de deux mois de travail : la découverte d'une nécropole du néolithique. Datant de 5000-4600 avant J.-C., elle révèle une vingtaine de sépultures au sud des zones décapées. Autre grand ensemble découvert par les archéologues de l'Institut national de recherches archéologiques préventives (Inrap) : des vestiges d'une ferme gauloise (150-30 avant J.-C.). La taille des fossés et le plan peu banal de l'enclos placent ce site parmi les plus importants d'Alsace. A Obernai, l'institut a également identifié de grandes fosses de la fin de l'âge de Bronze, une série de silos de l'âge de Fer ou encore les abords d'un établissement romain du IIe et IIIe siècles.